You can request your viewing slot online. Simply choose your property and select “Book Viewing”. For almost 70 years we've been helping people in the south of England to move. We'd love to help you join the list of thousands of happy Parkers buyers, sellers, landlords and tenants. The first Parkers branch opened in Gloucester in 1948, and we've carefully grown our network since then. We're respected within the communities we serve for our consistently high levels of service, and we're proud of our reputation as estate agents who are great at what we do. Whether you're looking to buy, sell or rent - we can help. Pick up the phone and speak to our team, or just pop into our office for a chat. When it comes to property, you can rely on us. Why not get started by booking an accurate valuation and finding out what the property you're looking to buy or sell is really worth? 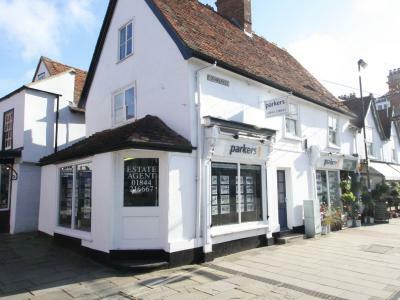 I’ve had reason to deal with Parkers Thame for both sales and lettings recently and have been really impressed with the service I’ve received. The new additions to the staff in the office have been very positive and have added to the level of professionalism. Lara the Property Manager and Andrea in sales have both been great. Queries are dealt with promptly and efficiently and the service is very high. I’d definitely recommend and will use Parkers again in the future. I very rarely leave reviews online but I have been so impressed with the service I received at Parkers that I want to recommend them! Friendly, professional staff who worked with my family and I to find the right property within a very tight timescale! Our agent kept us fully updated all the way through so that we felt in very safe hands with the massive upheaval that is moving house. Hopefully we will be in this house for a good long while but when we move again I will definitely be going back to Parkers! Best agents I've used. Born and raised in Thame, Adam has been involved with company for over four years, originally starting out as a helping hand on Saturdays. In October 2014 he took the jump to take a full time role within the company. Adam brings a wealth of local knowledge and in his spare time enjoys going to the gym, travelling and socialising with his friends. Giles has worked as an agent for over twenty seven years and brings an unrivalled wealth of knowledge and experience to the industry, market and area. Having started in the buzz of city life as a junior agent, he went on to own Parkers of Reading before making the move to Thame in 2010. It is fair to say Giles is now fully immersed in the sedate charm of Thame and the surrounding countryside. In his rare free time, he enjoys spending time with his family, skiing and travelling. Copyright © 2019 Giles Alexander Properties Limited t/a Parkers Estate Agents.